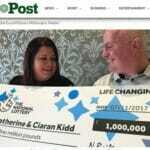 Get the latest stories about UK lottery winners, and UK Lotto news. The lottery is hugely popular in the UK, and there are a whole range of games to suit every player. You can read more about the UK’s games and find Lotto syndicates here. This man already knew he had a winning ticket, he just did not know the how much. Watch his joy when the lottery told him he had won £24 million over the phone! 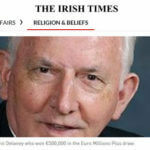 There’s no law barring priests from playing the lottery so we must assume some of them play hoping to fund the needs of their flock or merely for amusement. 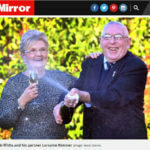 A couple from Southend-on-the- sea, whose financial situation had been very desperate, have won a reversal of fortune from the lottery. Pearce, 66, and Deb Gellatly, 58, had their retirement plans all worked out. While lottery wins do not make better people, it does empower them to do whatever they like to do better. And if that’s charity work, then everybody wins.